Tom Whitney is certainly no stranger to PGA Tour Latinoamerica, having competed in 17 events on that circuit in 2016 and posting four top-10 finishes, including a runner-up. And now it looks like the former Fort Collins resident and Air Force Academy golfer will be a regular on that circuit again in 2019. Whitney finished fourth out of 99 players on Friday in a PGA Tour Latinoamerica Q-school tournament in Mazatlan, Mexico, which gives him fully-exempt status for the first half of the 2019 season. Meanwhile, two other players with strong Colorado ties earned conditional PTLA status for 2019 — former Colorado State University golfer Blake Cannon and Castle Pines resident Josh Seiple, who’s in the midst of his senior season at the University of Mississippi. Whitney, who shared the lead after three rounds, tallied scores of 67-70-65-67 for a 19-under-par 269 total that left him five strokes behind medalist Jacob Bergeron of the U.S., who closed with a 62 and is fully exempt for the entire season. Whitney eagled a par-4 during Friday’s round, but also made a 7 on a par-5. Players who finished 2-11 are fully exempt for the first half of the season. Those who placed 12th through 35th and ties are conditionally exempt in 2019. That’s the category in which Cannon and Seiple fell. Cannon (66-69-71-69) tied for 15th at 275, while Seiple (69-70-69-72) shared 32nd place at 280. 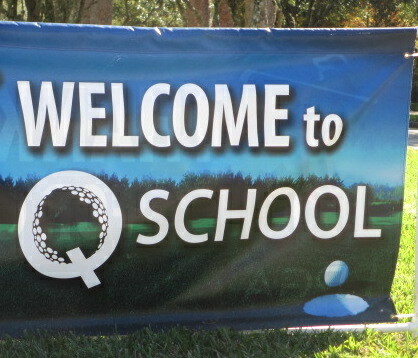 Two more PGA Tour Latinoamerica Q-school events remain, both next week: in Brazil and Argentina. Coloradan Chen Earns Conditional Status on PGA Tour China: Westminster resident and University of Northern Colorado golfer Li Chen landed conditional status on PGA Tour China on Friday by tying for 21st place out of 100 players in a Q-school tournament in Guangzhou. The finishers in the 13-35 range earned conditional status through the first six events of 2019. Chen posted rounds of 73-76-75-78 for a 22-over-par 302 total. Chen is in the midst of his senior season at UNC. In 2017, he was medalist in qualifying for the U.S. Amateur at Fort Collins Country Club. This week marked the first of four qualifying tournaments in 2019 for PGA Tour China. Former Buff Jeremy Paul Wins in Scottsdale: Meanwhile, in mini-tour action, former University of Colorado golfer Jeremy Paul won a one-round tournament, the Waste Management Warm-Up in Scottsdale, Ariz., an Outlaw Tour event. Paul shot a 5-under-par 67 for a one-stroke victory and earned $1,500 on Monday. Steven Kupcho Runner-Up in Napa: Elsewhere on mini tours, former CGA Les Fowler Player of the Year Steven Kupcho recently posted his second top-10 finish in a month. Kupcho tied for second in the Napa Open at Silverado Resort and Spa in California last week. The former University of Northern Colorado golfer posted a 7-under-par 209 total, finishing seven back of champion Corey Pereira and earning $3,500. In December, Kupcho shared ninth place in a Mexico Professional Golf Tour event in Mazatlan.